Money management is integral part of effective and wise slots gambling. Money management if arranged appropriately can help player win more and at the same time save the initial bankroll without much efforts. Remember: the first and primary aim of slots is to entertain! While playing, it is essential to set the tips concerning money before slipping the coins or slot club cards into the first possible slot machine. It is interesting to know that a lot of inveterate slots gamblers admitted about the addictiveness the slots playing triggers and also large losses because of that. Apart from the slot strategy, each gamer should keep in mind the slot machines payouts schedules and also the main slots glossary terms as the key slot machine guide. 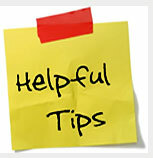 There is an array of different useful tips that are designed in order to assist the gamers and also prevent them from money waste. As far as slots are known to be the game of chance, it often happens that gamers waste their time and money in order to win at all costs in vain. A similar trend seen at roulette players, who like to attempt to exploit the Martingale system. It is the first mistake made at slots, indeed. The slots were made to entertain, but not take away the money from the reckless gamers! 1. Chose the machine and the game carefully. 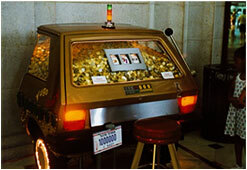 There is an array of available slot machines. The majority of them are sure to have the specific percentage of the payback mentioned in schedule that is usually printed on the slots itself. The meaning of such schedules is important due to the fact that it can help the gamers to count on the possible theoretical losses of money for playing. For instance, the machine that is considered to be loose sets the 95 % of payback and may indeed allow the gamers enjoying the smaller money risk. 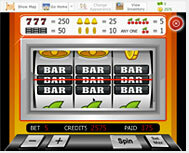 It is also essential to choose between the slot machine with single pay line and multiplier. The point is that some of them may require higher bets on each spin. This tip requires the gamer to review the money management and also personal means in order to see the amount of money possible to spend without much risk. It is essential to establish some particular fixed money limit for both positive and negative game scenario. It is always advised to join the slot club in the case of frequent casino visiting and slots gaming. Slot club services usually can offer the range of casino comps. Comps may include a lot of stuff: from coins or credits for playing to meals, drinks, free tickets to performances or airfare. It is wise to define the possible losses and wins before the game. The gamer should determine in advance how much to spend on gaming. In addition, the gamers should calculate the losses and winnings periodically. Maximum winning amount must be determined, as well. For each gamer planning the best money management, it is important to understand the sense of the game. It is wise to remember that the first and primary aim of slots is to entertain.